If you already have a Cricut machine or have used one before, chances are you were awestruck at the amazing abilities of the machine. Cutting intricate shapes and font variations out of paper, fabric, vinyl, and other media is amazing in and of itself, but the Cricut does so with an extremely easy-to-use interface. While the previous Cricut Expression machines were great to begin with, the new Cricut Expression 2: Anniversary Edition is even better. All of the minor grievances you may have had with your previous machine have been addressed and improved upon in the new edition. For instance, there’s a cutting area light on the Cricut Expression 2: Anniversary Edition so you don’t have to squint to see where you’re cutting. The updated machine also features an LCD touch screen, so you don’t have to keep track of your keypad overlays anymore. Another cool improvement I noticed is that you can see all of your shape options right on the screen, so you don’t have to keep referring to the cartridge handbooks. Both of these features are a definite plus for someone who has a tendency of losing things! Many of the other upgrades will benefit a more experienced crafter, such as text wrapping, multiple mat cutting, and mat preview. Plus, this machine comes with four cartidges (two of which are exclusively bundled with the Cricut Expression 2: Anniversary Edition) and—get this—it’s compatible with all of your other cartridges too! So don’t worry about what to do with the cartridges you love from your Cricut Expression or Cricut Imagine—you can just pop them right into the new machine. If you want a pleasant die-cutting experience, I would already recommend trying a Cricut machine, but if you want a top of the line, luxury die-cutting experience, make sure you try out the Cricut Expression 2: Anniversary Edition machine! my daughter uses Cricut all the time at work and she loves it, this would be a wonderful Christmas gift for her. I wish, I wish I wish I had this! My daughter-n-law raves about this all the time! She is a troop leader in Girl Scouts, and would benefit from this! I have seen the cricut in action my friend has one. This one sounds easier to use. 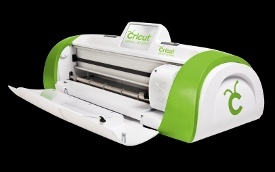 Have always wanted a Cricut since I found out how great they are for applique for quilts! Thanks for a great review! OMG I would soo love to win this! It's on the wish list but so far thats as far as its gotten. so who won the E2? I would loved to win Cricut Expression 2 it would make a good mother day gift. That would make an awesome birthday present. Would love to have this machine. i would love to own this Machine!! I heard it sold out in One Day!! I love the fact that it takes both the Regular cricut and Imagine carts. I am so excited!! Good luck to all. I can think of so many uses I could find for the Cricut Expression 2: Anniversary Edition. I have seen them, but am amazed at how easy and accurate they cut. Also, the many different materials which the machine can handle. I can imagine making the most wonderful scrapbooks by being able to pick my own colors and textures to surround my special pictures. Hope to win this one and all my friends will want one of their own. I like this article. I would really like to have a Cricut Expression 2! I would love to own this top of the line machine! Win the GelWriter 100-Count Gel Pens in Rotating Stand! Enter for your chance to win Chameleon Color Tones Pencils! Chance to win Traditional Japanese Washi Paper Art Kit Giveaway! Chance to win a Stick Together Paint by Stickers Kit!